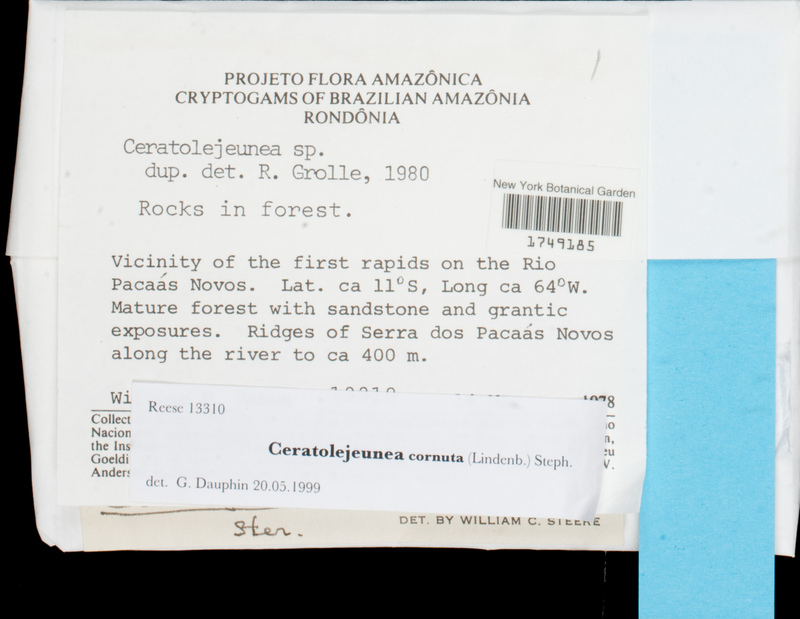 Locality: Brazil, Vicinity of the first rapids on the Rio Pacaas Novos. Mature forest with sandstone and granitic exposures. Ridges of Serra dos Pacaas Novos along the river, to ca 400 m.